Working throughout the Borough of Bromley from Beckenham to Swanley, our Quick Clear Drainage technicians have been drain unblocking for residents and businesses collectively for over 30 years. Our talented technicians use the latest drainage equipment to provide customers with a fast and efficient drain cleaning service. Using our state of the art CCTV Drain Survey equipment we are able to assess your drain situation without the need to dig out the drains. A blocked drain, blocked toilet, or blocked sink can escalate out of control very quickly and can leave your home or business vulnerable to damage, or leave it very unhygienic. We guarantee every customer that calls us a fast response and reliable solution whatever the cause of the problem. Customers seeking our emergency drainage support will be responded to within a 2-hour window to help minimise your inconvenience; with easy access to the M25 via the A20 and the A21, our dedicated team rarely miss an appointment. 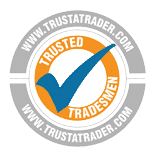 Our technicians attend your property with an array of professional and state of the art tools and equipment and often have everything they need to completely resolve your issue on the spot. 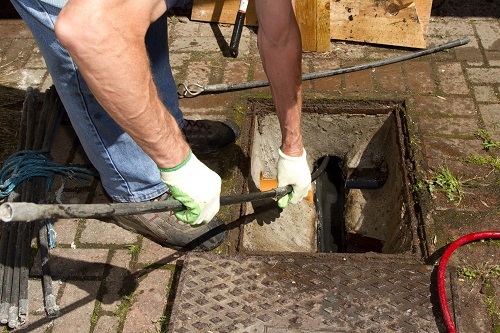 After unblocking your drains, we will often recommend our CCTV Drain Survey service to you in order to identify the cause of the drain blockage. Drain replacements are costly and intrusive but can be avoided if the cause of the replacement is found early enough. Our Drain Survey seeks to identify any repair work needed to help save you time and money at a later date. A public sewer is defined as one that serves more than one property, a block of flats counts as being one property in this instance. In 2011, the Department for Environment, Food and Rural Affairs passed the Private Sewerage transfer regulations, which means that in Bromley, Thames Water Utilities (TWU) are responsible for the public sewers and the main road sewers. Should you notice any public sewer flooding, please contact TWU. However, if you make a report to Bromley Council, they will investigate incidents of pollution associated with incorrect drain systems. If you are confident that the blocked drain you spot is not your responsibility, then please report any incident of public drain blocking to Bromley Council and Thames Water. In circumstances where you are a private tenant and your landlord is either refusing to or not dealing with your reported drainage issues, please contact Bromley Council’s Housing Enforcement team; they may be able to assist or support you. 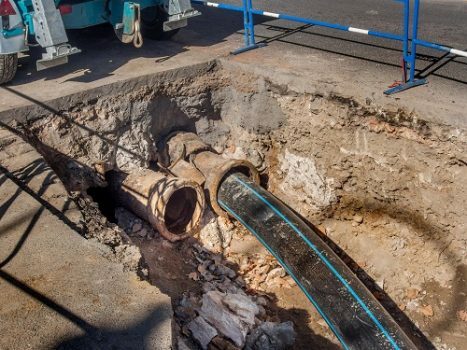 If you own your home, you are responsible for the sections of pipe between your property and the transfer pipe (heading towards the public sewer).